New to mobile development? Wondering how mobile applications are built? Are you a Flash/ActionScript developer looking to get your hands on android air applications. This presentation will walk you the entire development process of the AIR for mobile application. We say Android air applications but really this lesson given to you by Mobile hero Chris Griffith will teach you all the basics you need to know to get rolling with developing any mobile application on air(android , ios and more). This presentation will walk you the entire development process of the AIR for mobile application from design to deployment. Chris will show you how he designs and builds applications using a variety of tools and techniques. What is Android Air applications? Android Air applications are applications developed in ActionScript and complied to the AIR runtime. this runtime is loaded into the mobile device and enables outputting into many mobile/desktop platforms. To really grasp the idea of Air applications we need to take a quick travel back in time(this will be a very augmented history). For the most part of the mobile history Java was more or less the only option for mobile development. 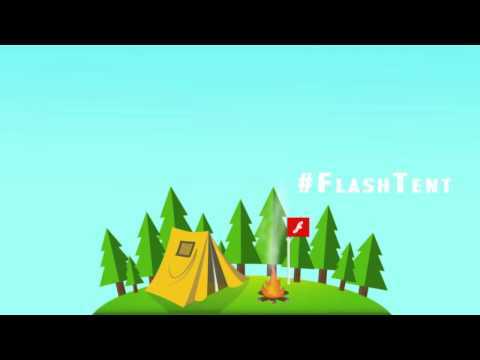 Flash always had an urge to be on mobile and for years it tried to push "Flash Lite" as the flash player for mobile devices. it had great promises but not great outcome and wasn't embraced as deeply as for applications to work the devices would need to support the flash player. As the mobile platforms evolved(IOS Android) so did the need to know more languages (same issues of the early web - who said history doesn't repeat itself). There are many solutions out there one of them is the Air runtime that enables building applications on one language and deploying them into many devices.